I am forever trying to find new ways to make myself be organised. How is it so hard to do? I honestly feel that this inability to organise myself stops me from being a fully fledged adult. I mean I keep track of events by jotting dates into my phone’s calendar, but other than that I am quite useless. Let me tell you now that I’ve got at least 10 notebooks at home, but they never seem to leave the house with me. Which means to do lists, shopping lists or things to remember can be found in the notebook section of my phone, on an email I’ve sent to myself or scribbled on the back of a receipt and stuck in my bag or the fridge. All of this makes it incredibly hard to remember what needs to be done for who or when. 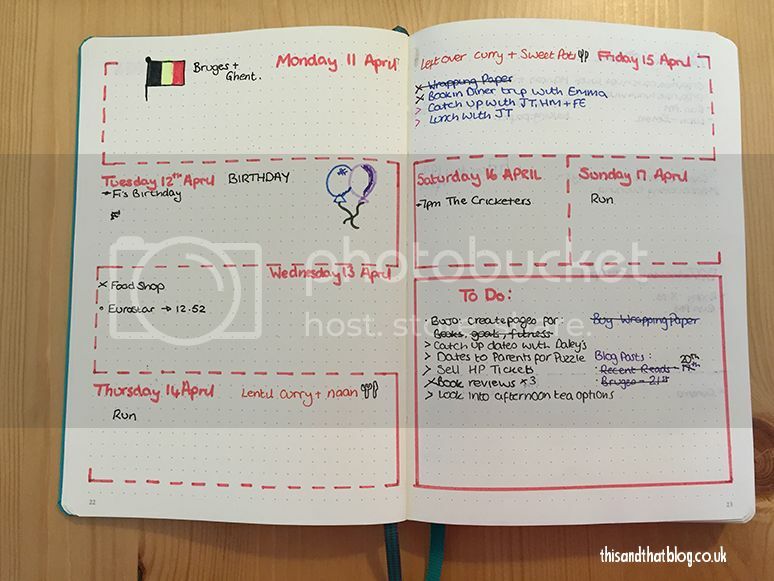 Which is why, when I heard about the Bullet Journal system I was all for investigating it. Essentially a bullet journal is a customizable organisation system; your diary, journal, to do list, sketchbook and notepad all in one book. So one place to put everything, meaning just one thing to carry to organise your life. Genius. 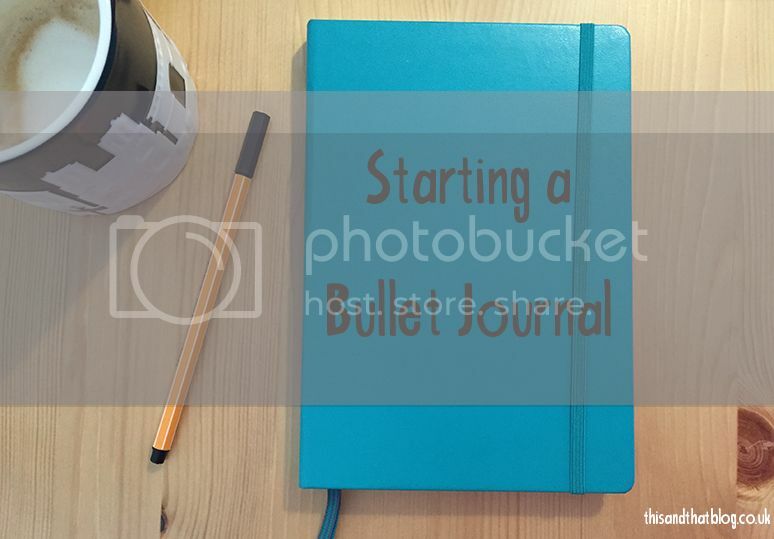 The link above will take you directly to the Bullet Journal website where you can watch a video that explains it quite effectively – far better than how I do things! Aside from the original site I’ve also searched my two favourite sources; Pinterest and other blogs to get a better understanding and to help me decide how I would set mine up and use it. A few of my favourite bullet journalers (is that a word?!) to get inspiration from are My General Life, She Means Business, Boho Berry and Hannah Lane so check them out if you’re interested. To cut a long story short I decided to start using a bullet journal, so for the past month I’ve been trying it out. I’m still getting the hang of things, but what I love is the customisable nature of it. I try something and if I don’t like it, or I’m not using it, I change it around. It really is as simple as that. And I already feel more organised. At the moment I have the following pages in my journal. 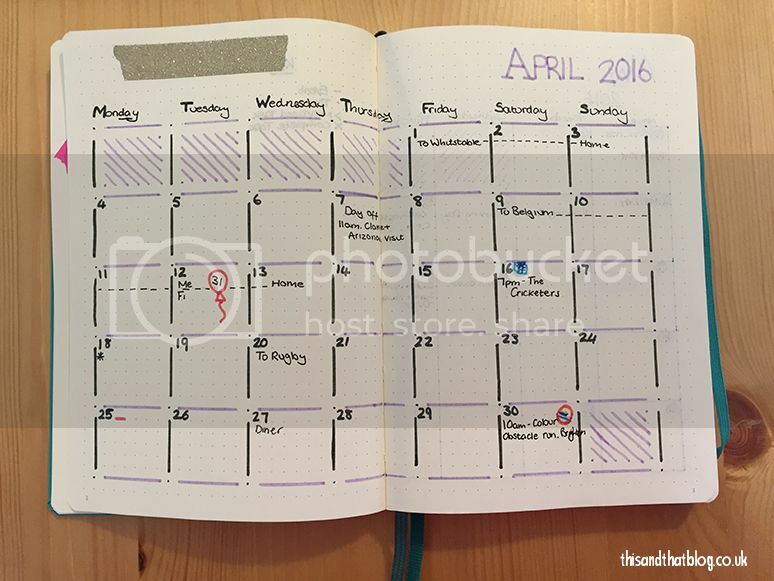 2016 monthly spreads – here I’ve drawn out each month in 2016 on it’s own spread. This means I can add in birthdays and plans for later in the year and see my diary at a glance. 2017 plans – this is just a page for adding in important notes for 2017. So when I book in dentist appointments or future plans. Then when I set up my 2017 planner I can migrate these across. Blog Planning – I feel like this one is obvious and necessary. No more emailing myself when I get an idea. Week spreads – although I have monthly spreads I still like to narrow things down into a week at a time. Here I can add to do lists, dinner plans and other thoughts. To be honest these are constantly changing as I work out what I want to include in each spread. 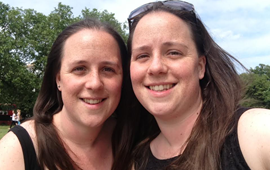 Running Log – I’m trying to get back into running since the half marathon and I’m finding that writing this down really helps me see how I’m doing and how often I’m lacing up the trainers. Spend Log – One day I will get a hold on my finances! This is really useful to see what I’m spending on as it’s far too easy to forget about each contactless payment. Books Read – you know me, I love a good book so I’ve got a page to track as I read. Is anyone else embracing the bullet journal? Any tips or tricks to share?